Word games are a perfect fit for today’s crazy lifestyle. They sharpen your vocabulary, train your brain, and provide entertainment whenever you feel like exercising your mind. 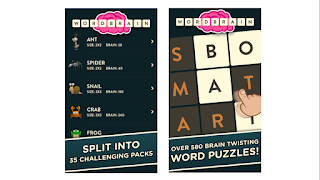 Because of these great benefits, there is no shortage of word games for both Android and iOS. If you are new to word games, you will find something interesting in the list of word games below. All of them are free and you can play advanced levels without having to pay anything. 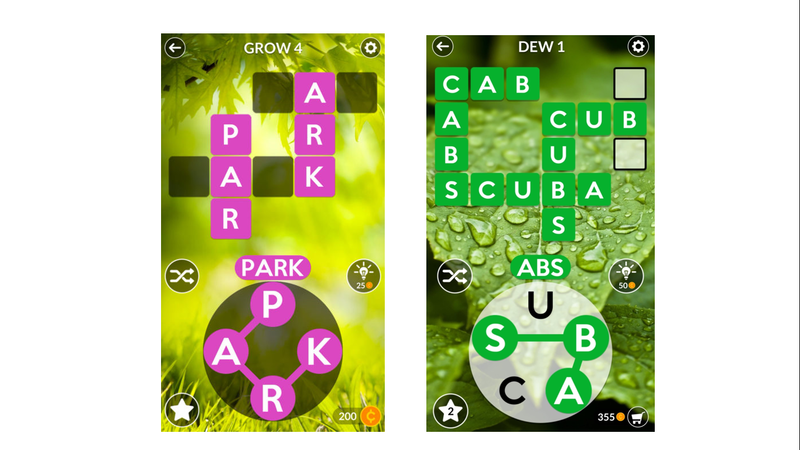 The first game on our list challenges players to create a number of words from a set of letters. They are contained in a special pot below the screen and you have to swipe around them to create solutions. 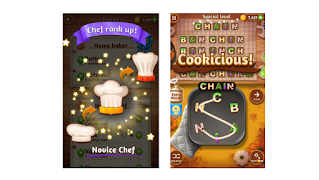 If a player exceeds the number of words in the task, the game rewards them with coins. These helpful items can rescue in difficult situations by providing hints. Word Cookies are available for both Android and iOS. An awesome word game with a 4.4 rating on Google Play. WordBrain has pretty simple rules that frequent players will certainly recognize: a set of words is provided which should be used to compile a word. As simple as it sounds, higher levels in the game are difficult enough to keep you playing for hours. People working with words often find them awesome for training. The player’s development system in WordBrain is also amazing. A user starts with an ant with the smallest brain weight and ends with a unicorn with the heaviest. Additionally, the players can choose to play in different languages (15 languages with 700 levels per language). Get WordBrain on Google Play Store or App Store to begin becoming a brainiac! If you have a nature-themed wallpaper as a background on your computer, you will want to grab a few from this game. Every level is played on a stunning nature background to help the player relax. 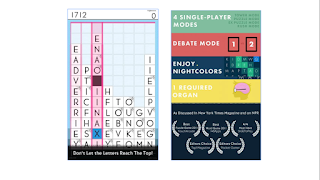 The rules are simple: crossword-style structures on the top of the screen need to be filled by words which you put together by swiping a box on the bottom. The bonus system rewards the player with hints that help to complete more complex levels. 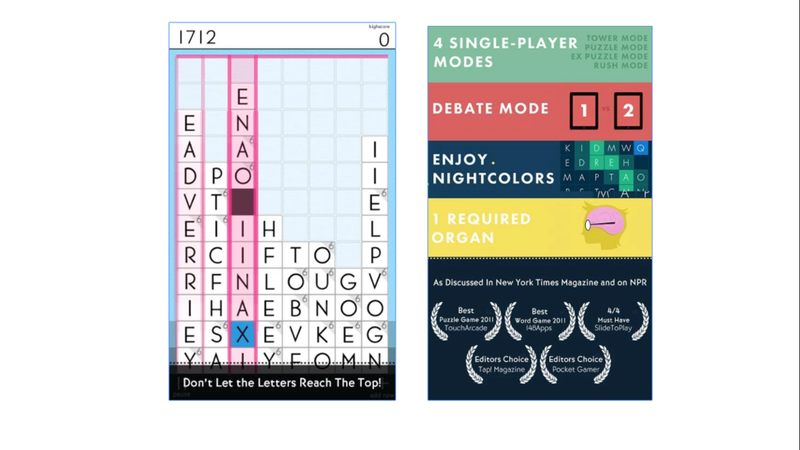 Wordscapes has in-game ads but they are unobtrusive and displayed only between levels. So, if you are ready to challenge yourself in this game, get it for your Android or iOS device now. 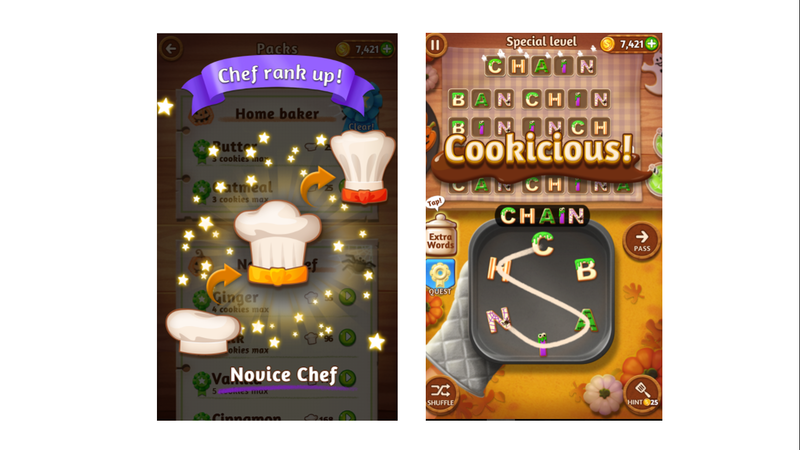 This app was named the best by 148Apps' 2011 Best App Ever Awards, and for a good reason. The main idea is to create words from a jumble of letter tiles to clear the entire screen before a complete refill. This task is pretty addictive and SpellTower has confidently survived the test of time to become a true classic of the word game genre. Five modes for are available for single player including puzzle mode, extreme puzzle mode, rush mode, debate mode, and tower mode. If you feel like playing against your friends, switch to the multiplayer battle mode and let the game begin! SpellTower is available for download for both Android and iOS as well. The first truly multiplayer word game on our list deserves special attention. 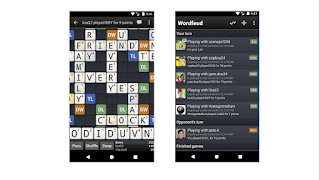 Wordfeud is played by more than 30 million people all around the world which makes it one of the most popular in this genre. The purpose of the game is to create and place words on the 15 x 15 tile board and earn as many points as possible. To try your skills against an opponent, a player can challenge them in a mini-competition. You can also play against your friends and even chat with them! Wordfeud has a high rating (4.4 on Google Play Store and 4.8 on App Store), so it will definitely become one of your favorite word game. Install it for Android or iOS to begin playing. The last item on this list is another true classic of word game genre that many people love. The title of the game pretty much reveals the task: the players need to find words hidden in the board. Hundreds of puzzles will keep you playing for a lot of time and enjoy this great game. If you’re stuck playing a difficult level, the app gives you hints to make sure you advance to the next level. Also, you will love Word Search for a lack of in-app purchases and little obtrusive ads between levels. If you have an Android device, you can get it on Google Play Store for free. iOS users are welcome to download it from the App Store. Are you interested in trying some of these games? Well, have fun playing and training your brain! All of them are free and available for both Android and iOS, so you can download them today! Michael Gorman is high skilled editor and proofreader who currently works at Awriter. He is proficient in blog writing and online freelance networking. Feel free to contact him via Facebook . If you have any word game apps to recommend, tell us about them in the comments below.